Trucks have the potential to cause great harm. They're big. They're fast. They're heavy. All of us have duties. We all have obligations. But the bigger the risk of harm, the greater the liability. Truck drivers, owners, and truck companies have a large responsibility that corresponds with the risk. people were injured and 98 people lost their lives. Our firm represent clients that have suffered injuries, loss of life or property damage as a result of a serious accident with a truck. A driver of a large truck, because they sit up high, might not be able to see pedestrians, bicyclists, or small vehicles. They have a great potential for causing a collision, not because they are bad people, but just because they are driving what we call “large instrumentalities.” Because the size of those vehicles relative to people, bicycles, and cars, the potential for a big injury is there. Luckily in Illinois, and in the rest of the country, we have regulations governing these trucking companies. If the collision is due to some kind of violation of the law--the required safety in care--you or someone you care about may be suffering right now. Those laws and regulations are designed to promote safety, regulate risk, and to allow for recovery in the event of someone being injured due to an accident. At the end of a trip, drivers must re-examine these items, as well as the wheels, tires and emergency equipment. Any defects must be noted in the post-trip inspection report and promptly corrected by the trucking company. When unsafe equipment was a factor in the tractor trailer accident that caused your injuries, our lawyers will work to discover the lapse in protocol that allowed the defect to go unnoticed or unaddressed. Companies often pay by the mile or the load, so drivers of 18 wheelers may drive to cover their routes quickly and unsafely. This aspect of trucking industry policy encourages dangerously excessive hours behind the wheel. Work hours are defined as on-duty time, which includes driving, loading and conducting maintenance—working with the semi-truck in any way. 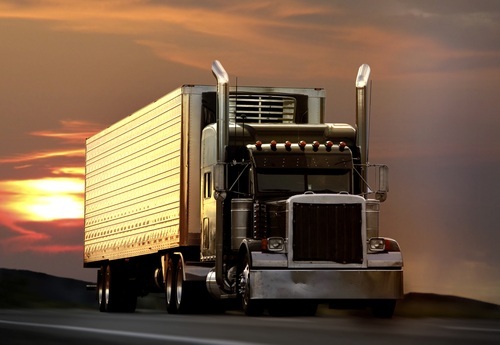 Federal law establishes Hours-of-Service regulations for drivers of large trucks. Our attorneys work swiftly to examine the driver log books, as they are only required to be kept for six months. When we find that a truck driver has exceeded the Hours-of-Service limits or misrepresented work hours in any way, we aggressively pursue compensation for injuries caused by the trucking accident. 18 wheelers and semi-trucks are not easy to operate. In fact, these metal behemoths require special training. To save money and time, trucking companies may fail to provide drivers with proper training, or worse yet, may hire inexperienced drivers. In the hands of an unskilled driver, an 18 wheeler can injure or even kill. We investigate the truck driver's training history to determine if this contributed to the accident. Discuss the details of your accident case with our Chicago truck accident lawyers today. No matter where you live in the state of Illinois, we feel our legal representation can benefit you, we will conduct an in-depth consultation at no charge. We are here to help you secure a successful outcome. Contact us today or call us at (312) 766-1000 and learn more about how representation works.